If you have purchased a new house recently or moved to a different town, you might want to rent out your existing house. This decision is especially sensible now as the real estate prices in India have remained stagnant or even reduced in some cities. Also, there are no signs of a future possibility of capital appreciation in the value of the residential property. In the present market situation, it is wise to rent out one’s house but the decision to do so should be made by the owner depending on their needs and ideas about the house. The rent that you will earn could fetch you some 2 to 3 percent of the value of the house every year and also help you pay off any EMIs that you may have. You may also choose to reinvest these earnings elsewhere. Once you decide to rent out the house, you need to make sure that the condition of the house and its infrastructure is good and liveable. The owner will have to repaint and renovate, if needed, to accommodate the needs of the tenants and make it attractive to a potential tenant. Apart from the repairs and maintenance, the owner will also have to be reachable for the tenant’s needs and for making rent payments. If you choose to live away from the house you own, you will have to make arrangements with someone you can trust and close to the house for collecting rent and for dealing with emergencies. Before you set the rent to be charged, you have to look at the rental rate trends in the locality for the type of property you own. The cost of renovation and a potential increase in the rent with time should also be weighed in. The type of tenant you desire will depend on whether the house was purchased for investment or for the purpose of letting out. Usually, with houses that are attached to the one that the owner already lives in, the owners look for long-term tenants. This is also the case where the home is purchased for the purposes of making a steady income through house rent. When one buys a house for investment purposes, they prefer letting it out to students or working professionals so that the tenancy is short and the house can be easily sold when there is an appreciation in value. On finding a suitable tenant, draft a rental agreement after clear discussion with them on the terms and conditions. With a help of a good lawyer, construct a robust agreement that includes all the clauses you want and gets it registered with the local authority. Usually, house owners are skeptical of renting out to strangers. You can conduct a background check on the potential tenants to get assurance. In cases where the tenant does not pay the rent or disagrees to vacate the house, the agreement will act as a valid legal document that you can present in the court against them. Apart from the rental agreement, the owner should collect a security deposit as per the rent charged on the house. 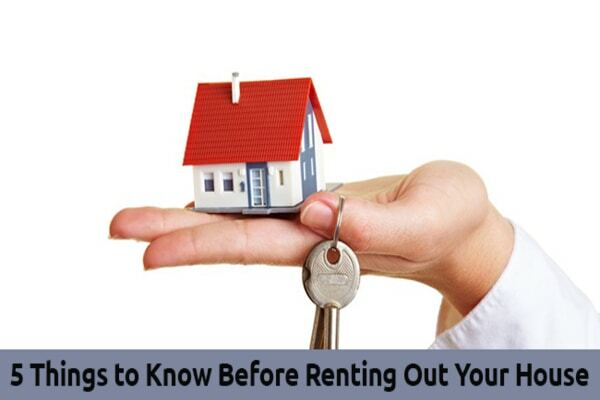 If you live away from the house that you are planning to rent out, it is a good idea to visit the house once in a while to check on the condition or to engage with the neighbors and tenants about any concerns. Whether or not the tenant is paying the utility bills on time should also be tracked. Next story What To Do If You Have Two PPF Accounts?